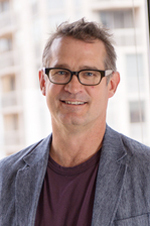 Wicks will bring his decades of user-centered design experience to the Segal Design Institute. Credited with more than 40 design and utility patents, Wicks and his teams have received multiple global design awards from notable institutions as IF, Red Dot, IDSA, IDEA, Good Design, BusinessWeek Design of the Decade, and the Catalyst awards. He is sought out as a respected expert on design and design strategies, is seasoned in large-scale product launches, and is regularly quoted in the media. Central to his achievements is a keen sense of markets, design sensibilities, technology and business knowledge, and the ability to synthesize broader strategies to executable consumer focused designs.